A Saturday outing for me would typically involve my friends, cafe hopping – late lunch; late dinner, drinking one coffee after another (let’s just say I have high tolerance for caffeine), until I am ready to go home and grab some sleep. That, was sometime back. Nowadays, I no longer venture out for late night-coffee-caps, but instead, chose to enjoy my Nescafe at home during the weekends, or whenever I felt like it. 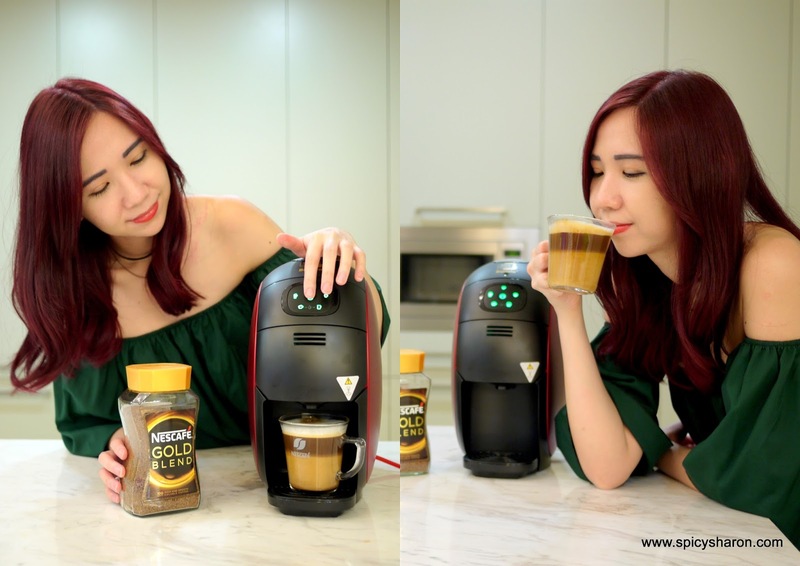 I have to admit however, that instant coffee can never be as good as the freshly brewed ones, but a premium blend of coffee, like the Nescafe Gold Blend, would be a quick fix when it comes to lazing at home, snuggling under those sheets, especially on a rainy day. The Nescafe Gold Blend is made with high quality Arabica and Robusta beans, slowly roasted to perfection, then finely grounded, delivering a sharp and full-bodied cup of coffee. I can already foresee the onset of weekend movie marathon at home. Now – all I need is rain! Moreover, the new Nescafe Gold Blend Barista Machine is made exclusively for the use of Nescafe Gold Blend, promising a full cafe menu with a simple touch of a button. This user-friendly barista machine aimed to bring out the best flavors, aromas and textures of the Nescafe Gold Blend. As the tagline goes – the perfect blend, crafted for the perfect cup. The machine feels sleek and sturdy, the touchpad especially, makes 5 types of coffee – Latte, Cappuccino, Espresso, Lungo or Americano. The features and functions are straightforward and very easy to manoeuvre also too. The designated coffee box is a portable unit that can be detached and reattached when refilled. Note that the machine is not meant for 3-in-1 coffees, or any other powdered versions for that matter – it will cause blockage. The more the reason to have good quality, soluble coffee right? Apart from that, the barista machine would only need room temperature water to function. It is located at the side of the machine. 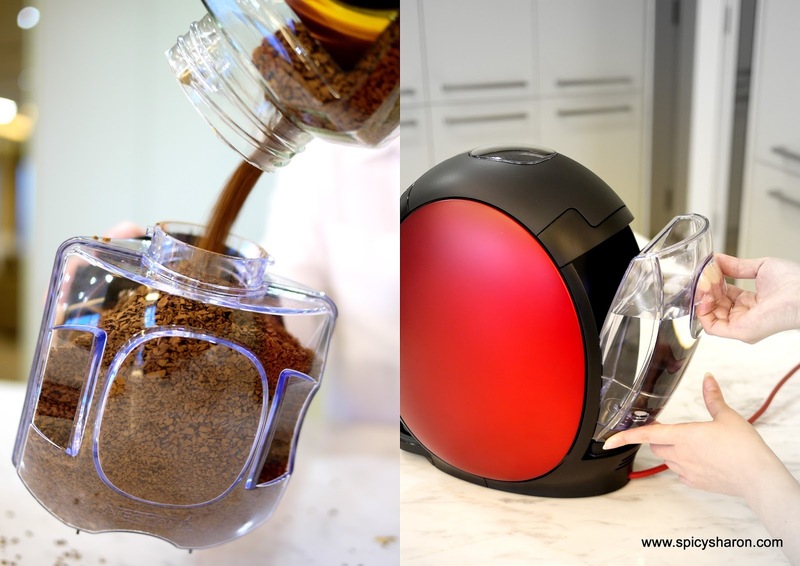 The Nescafe Gold Blend Barista Machine is affordably priced at RM239.00, including 1 Nescafe Gold Blend Jar (200gm) and 1 Refill Pack (170gm). The machine comes with a standard 2 year warranty. Get it delivered straight to the doorstep when purchased through the Official Nescafe Gold Blend Website Here. Click the links below for more information and ongoing promotions:Facebook, Twitter and Youtube. In the next coffee write-up, I will sharing a bit more on the coffee-making process and styles, using the Nescafe Gold Blend Barista Machine. I’m definitely looking forward to having a few friends over soon. Looks like I’m going to be a master barista after this. How would you like your coffee done?